Researchers nationwide have reached a major milestone in describing the genetic landscape of cancer. Scientists at Washington University School of Medicine in St. Louis and other institutions have completed the genetic sequencing and analyses of more than 11,000 tumors from patients, spanning 33 types of cancer — all part of The Cancer Genome Atlas (TCGA) project, funded by the National Cancer Institute and National Human Genome Research Institute, both of the National Institutes of Health (NIH). "For the 10,000 tumors we analyzed, we now know — in detail — the inherited mutations driving cancer and the genetic errors that accumulate as people age, increasing the risk of cancer," said leading TCGA scientist Li Ding, PhD, an associate professor of medicine and director of computational biology in the Division of Oncology at Washington University. 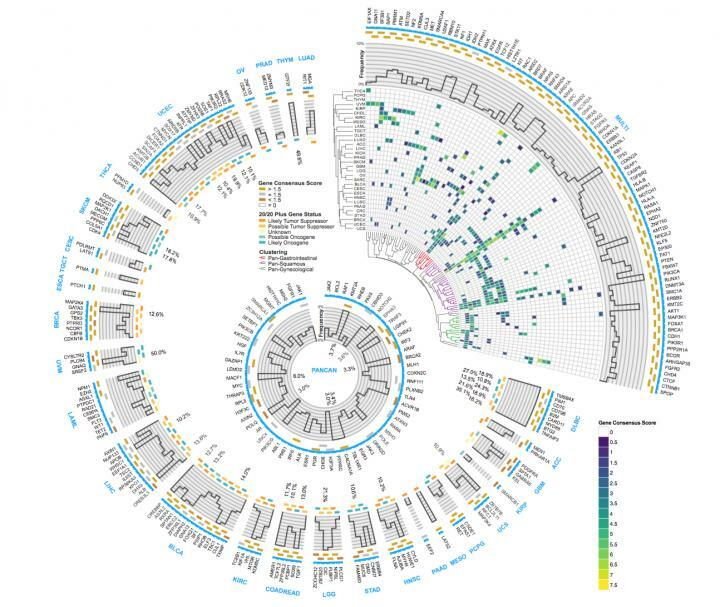 "This is the first definitive summary of the genetics behind 33 major types of cancer." According to Ding, the research supports the idea that tumors of any type with high numbers of mutations — which often are resistant to chemotherapy — are susceptible to immunotherapy drugs called checkpoint inhibitors. Highly mutated tumors produce comparatively more misshapen proteins that can trigger an immune response. But as a safeguard against autoimmunity, the body often puts the breaks on such an immune response. Still, to treat aggressive tumors, checkpoint inhibitors can remove those breaks, letting the immune system fight the tumor more effectively. "Even after genomic sequencing, sometimes we still can't explain what is going on," Ding said. "This is why we are planning to expand beyond studies of the tumor cells to include the entire tumor ecosystem — the immune cells that infiltrate the tumor and the supporting tissue that creates the tumor's microenvironment."